In our initial conversations with clients, many often ask whether they should just plead guilty to a DUI charge. After all, they have just been through the arrest process during which the officer repeatedly tells them that he has “all the evidence” needed to get a conviction at trial. Furthermore, they have all had something to drink that evening whether it be drinks with dinner or beers with friends. They come into the office feeling like “all is lost” even before we begin. Because they feel “guilty,” they seriously question whether they should plead guilty. The absolute answer is that there is NO REASON to ever plead guilty to a criminal charge until you are certain the State can PROVE you guilty beyond a reasonable doubt. This is a very high evidentiary standard, and an experienced DUI attorney can often find legal defenses to your case. The overwhelming majority of our clients are “first time” offenders who would never have gotten behind the wheel if they thought for a moment that they were impaired or otherwise unsafe to drive. After being arrested and charged with a DUI, they will “never” have anything to drink if they are driving. In short, they already punish themselves and learn a valuable lesson. Unless the State can truly prove their guilt, there is no reason to suffer the consequences of having a permanent criminal record and the other driving and insurance issues that result. This is where we can help. Defending a DWI is a process, and the process takes time. Because having a pending criminal charge causes stress and anxiety, the natural instinct is to “get this over with” as quickly as possible. However, you should know this is not the proper perspective on a DUI case. In order to collect all of the State’s evidence against you, it will take several months and several court appearances. We need time to request video evidence. We need time to interview the arresting officer and evaluate whether proper arrest procedures were used. Time is on your side. Nothing bad happens while you are only charged. Insurance rates change, fines and court costs are owed, and a permanent criminal record only happen if you are convicted. If a charge can be defeated, none of the consequences come to pass. After you get your original license back after thirty (30) days following a DUI arrest, you can go back to focusing on your life while your DUI lawyer focuses on your case. At the point where all evidence has been gathered and thoroughly reviewed, you and your lawyer can then sit down and have a detailed discussion about your case. The strengths and weaknesses can be shown, and your questions about what is best going forward can be answered, Then, you are in a position to make good choices and decisions about whether to plead guilty or go to trial. If you elect to proceed to trial, you and your DUI lawyer will go over defenses and get your detailed input into the arrest process. The first trial is in District Court and is heard before a judge only. In most instances, the best strategy for District Court is to make any applicable motions if there is legal error. If denied, the next step is to appeal to Superior Court where trials are heard before a jury. A jury trial is still your best opportunity for justice. If you are found guilty after a trial before twelve (12) jurors, you can know you did everything you could to avoid a conviction and must now face the consequences. If you decide that you want to plead guilty and move on, your DUI lawyer will need to prepare to put you in the best position for the lowest punishment level. Of course, everyone would prefer a Level Five (the lowest), but that option is not always available. Preparing for a plea involves getting a current substance abuse assessment and completing all recommended treatment. Also, if available, you should have a post-trial limited driving privilege ready for the judge to sign immediately after the plea. If you have a BAC level of 0.15 or greater, you are not eligible for a LDP until after a forty-five (45) day waiting period. If you refused breath testing or are determined to have “refused” for failing to provide a sufficient breath sample, you have to wait six (6) months before applying. We often recommend that our clients complete treatment as it will be easier for them to then complete any community service hours. Trying to complete both can be very time consuming and difficult. It also helps at the plea to show your commitment and remorse. We also often recommend an expression of taking responsibility by the client at the hearing. It is difficult to make good decisions right after a DUI arrest. You are stressed and usually tired from having been up all night. Get home and get some rest. 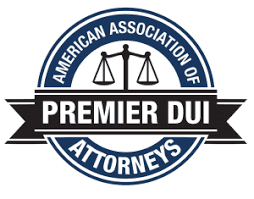 Then, after you have had an opportunity to let the initial panic subside, you can begin your search for who you consider to be the best DUI attorney for your case. The simple truth is there is no “best DWI lawyer” here in Charlotte. 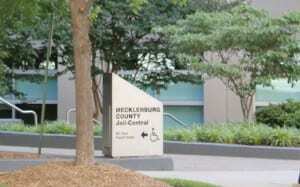 In fact, there are many talented and experienced DUI lawyers in Mecklenburg County. Instead, you have to do your research and may even want to interview several lawyers before deciding who is best for you and your family. 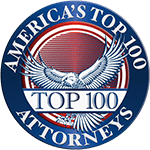 We encourage a careful review of credentials, years of practice, and focus on this complex area of law. In the end, you have to choose which lawyer gives you the most confidence and also puts you at ease. 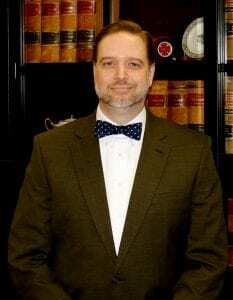 Charlotte DWI attorney Robert Reeves of RJR Law, PC is a criminal defense attorney in Charlotte, NC. Mr. Reeves understands what is at stake for his clients charged with DWI, and will fight for them from start to finish. Given the high stakes involved when a client is charged with DWI in North Carolina, Mr. Reeves takes a team approach to DWI defense. 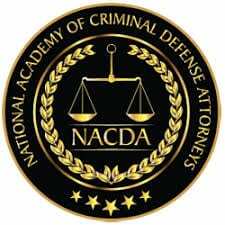 Strategizing with other veteran DWI defense attorneys (see DWI attorneys below), Mr. Reeves will leave no stone unturned. Mr. Reeves offers DWI clients aggressive and zealous representation with a team approach.